‘At six months pregnant I was told I wasn’t being given a job because of my “condition”‘. 28 January, 2015, London. An outsourced cleaner at the University of London is taking her employer to an employment tribunal on allegations of maternity discrimination. The tribunal hearing is scheduled to take place on 3, 4, 5, 6, and 9 February, 2015 at the London Central Employment Tribunal. Nuvia Erazo Farias is an Ecuadorian cleaner employed by Cofely Workplace Limited to clean the University of London’s student residence halls. Until June of last year Nuvia worked at the Garden Halls, three student residence halls that the University of London shut down in the summer for refurbishments. As a result of the closure, Nuvia’s job was put at risk of redundancy. Like many of her colleagues, Nuvia applied for various vacancies in order to avoid redundancy. However, unlike most of her colleagues, Nuvia- who was six months pregnant at the time- was not given an invitation letter or any advance notice for her job interview. Nor was her “interview” conducted by two managers as protocol required. The one manager present was Sharon Bracey, the Cleaning Services Manager who doubles as the UNISON rep.
“Sharon told me that she didn’t want to talk about work because of my ‘condition’ and only wanted to speak about redundancy and maternity pay,” said Nuvia Nuvia was then made redundant. Sharon Bracey has a patchy history with maternity discrimination as allegations that she was trying to drive a pregnant woman out of her job resulted in another (unrelated) employment tribunal claim just over a year ago. After a series of legal threats Cofely backtracked and gave Nuvia a permanent position. 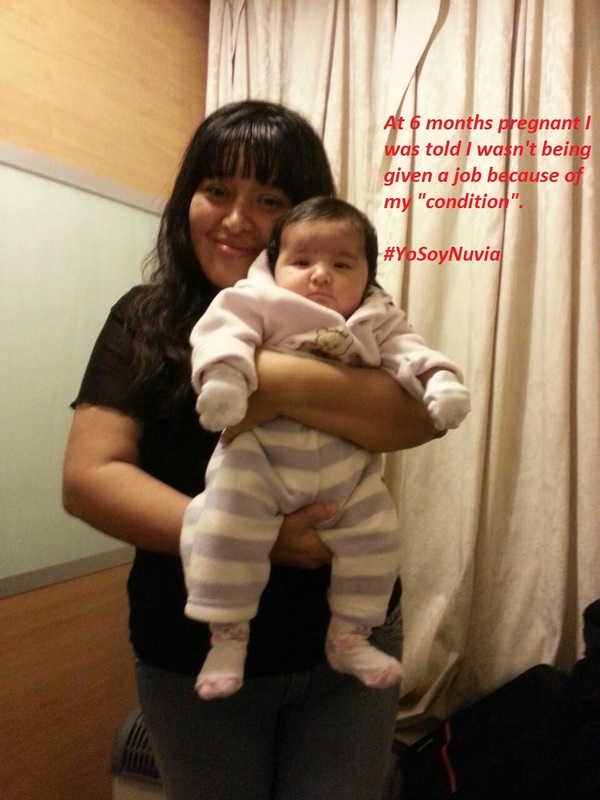 However, in the interim, Nuvia went through an extremely stressful period, culminating in her hospitalization, believing that she would no longer have a source of income after her maternity leave. The University of London was contacted a number of times about this case and chose not to intervene. A public hearing is to begin on 3 February, 2015 at the London Central Employment Tribunal (Erazo Farias v Cofely Workplace Limited).